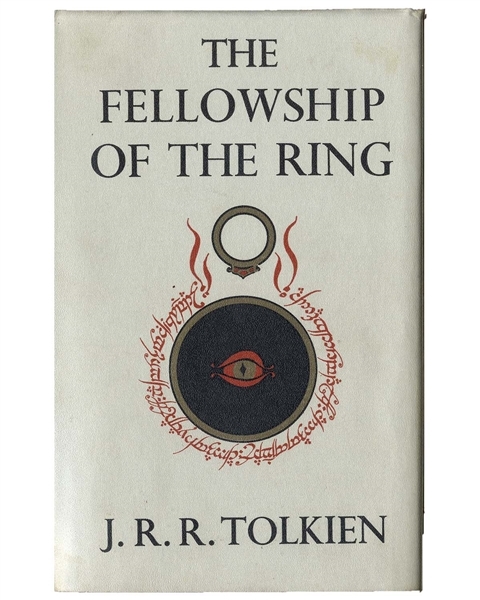 Rare first edition, second printing set of J.R.R. 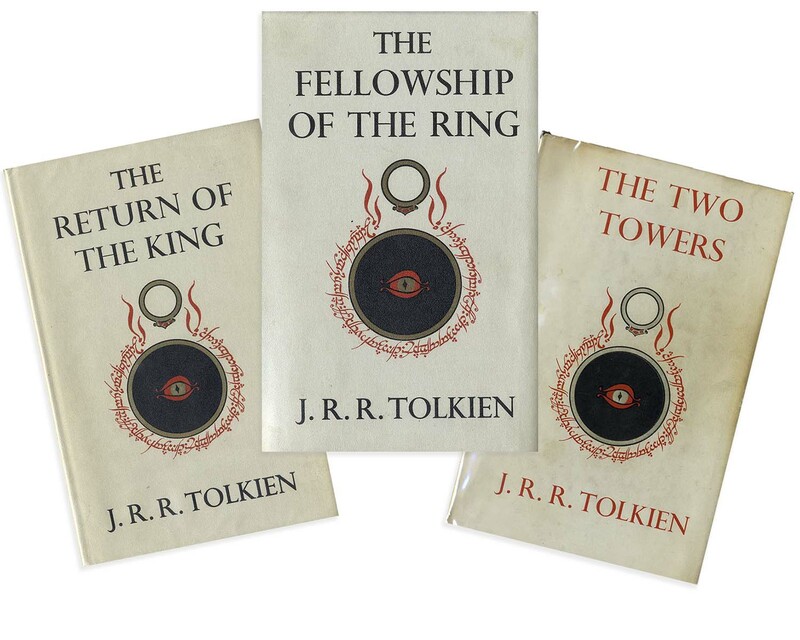 Tolkien's ''Lord of the Rings'' trilogy. London: George Allen & Unwin Ltd., 1954 & 1955. All three books are well-preserved, in their original dust jackets and with maps present. ''The Fellowship of the Ring'' is a first edition, second printing (London: George Allen & Unwin, 1954) with map attached to rear flyleaf. Publisher's red cloth with gilt spine titles. 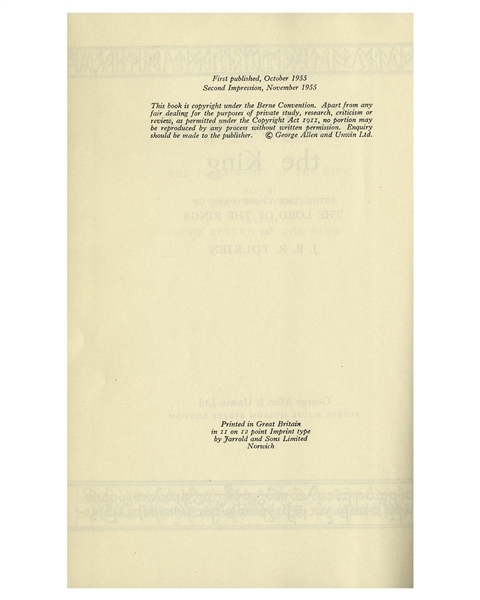 With signature mark ''4'' at the bottom of page 49. 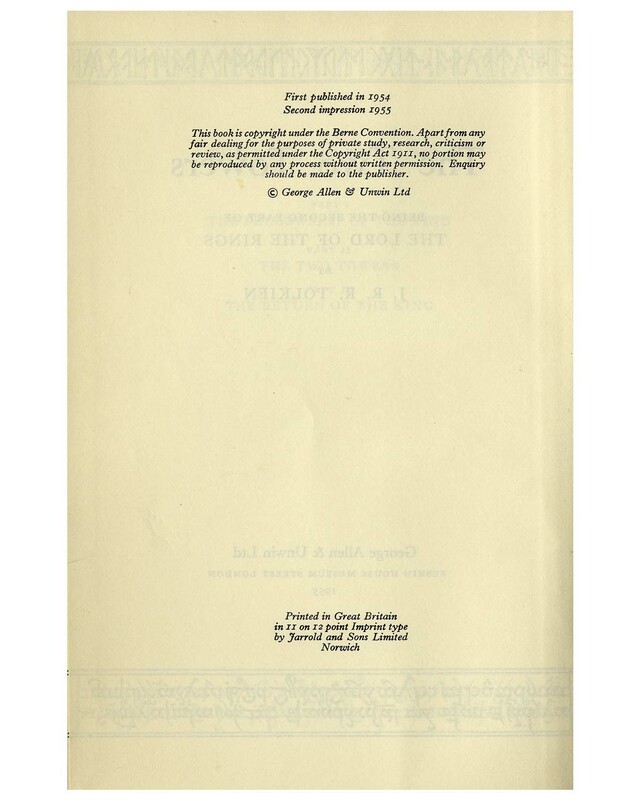 Original dust jacket with price clipped. ''The Two Towers'' is a first edition, second printing (London: George Allen & Unwin, 1954) with map attached to rear flyleaf. Publisher's red cloth with gilt spine titles. Original dust jacket priced ''21s net''. 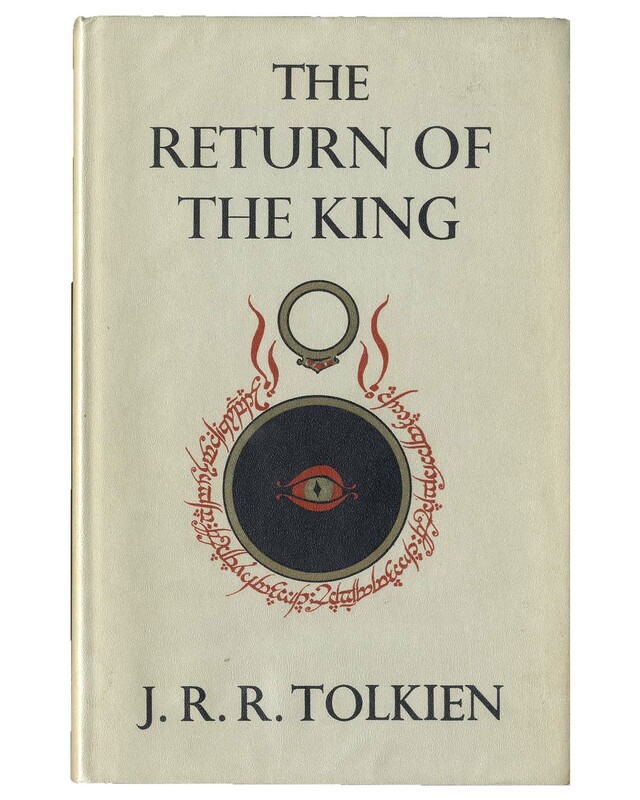 ''The Return of the King'' is a first edition, second printing (London: George Allen & Unwin, 1955) with map attached to rear flyleaf. Signature mark ''4'' present on page 49, and type sagging in the middle. Publisher's red cloth with gilt spine titles. 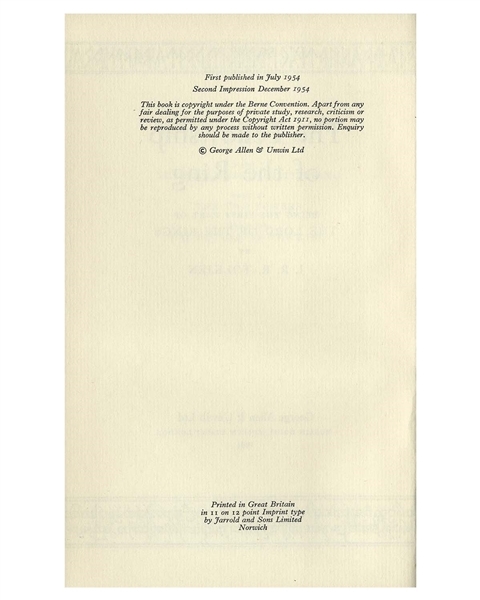 Original dust jacket priced ''21s net''. 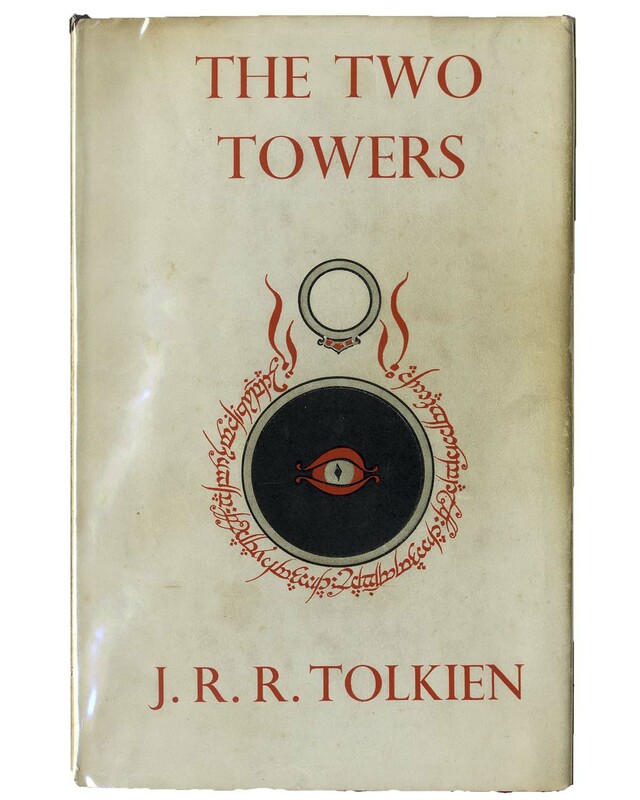 All measure 5.75'' x 9'' with top edges red, though red has faded for ''Fellowship'' and ''Two Towers''. Apart from some light mottling to the front board of ''Fellowship'', it and ''Return of the King'' are in near fine condition, both books and dust jackets; ''Two Towers: shows some cocking to spine, sunning to backstrip and toning to endpapers. Overall a very good plus set, with excellent display quality.